The Northern Belize Coastal Complex (NBCC) is a river-to-reef seascape of connected protected areas in northern Belize. 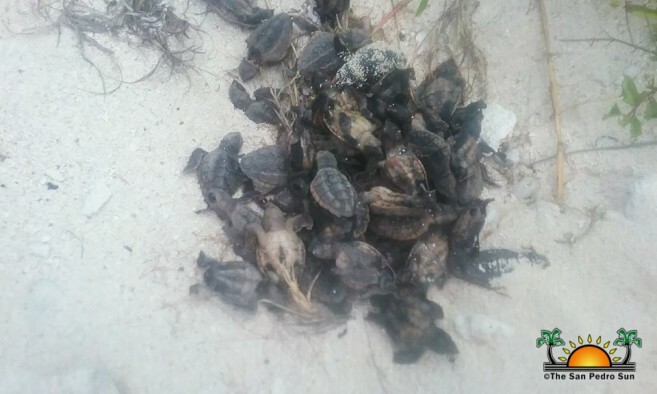 Water flows from the Rio Hondo and New River and coastal lagoons of the mainland into the Corozal Bay Wildlife Sanctuary, and on to the reef of Bacalar Chico, Hol Chan and Caye Caulker Marine Reserve. Guinea Grass is a community that shares and enjoys the New River. The New River empties into the Corozal Bay. Guinea Grass is poised to keep as much forest cover as possible, maintain the 66 feet (riparian) vegetation, and ensuring that garbage is disposed of correctly to keep our watersheds healthy. 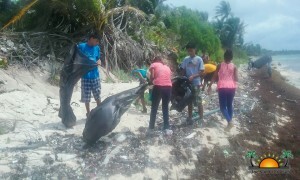 Children from The GREENE (Guinea Grass Response for Education & Enforcement of the Natural Environment) Project were provided a firsthand experience to learn of the primary ecosystems of the coastal and marine environment and to observe how garbage affects marine life at Bacalar Chico National Park. 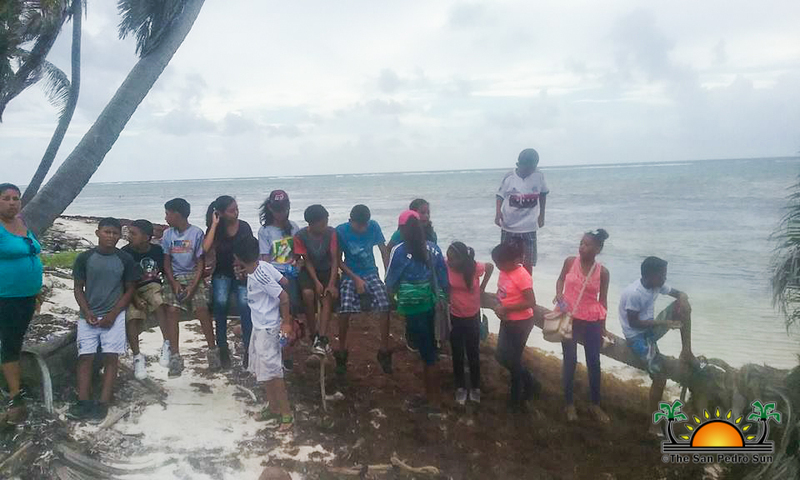 Twenty-five (25) children of the River to Reef Ambassador’s Program traveled to Basil Jones Camp from August 28- September 1, 2017 to learn about the conservation and threats to Belize’s Barrier Reef. 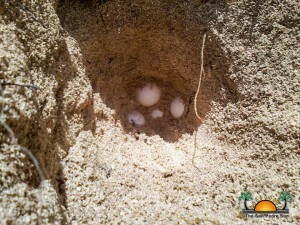 This training course also included the life history of sea turtles, visit the coral reef, littoral forest, mangrove ecosystems, and threats to coral reef and marine life. Our children had a unique opportunity to see baby turtles hatching and struggling to get into the sea for their survival. This experience inspired our children to protect the New River from solid waste discharge that eventually affects marine life. 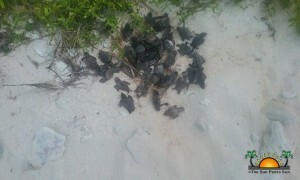 The garbage accumulated on the beach where turtles lay their eggs are obstacles for the baby turtles accessing the sea. Our River to Reef Ambassadors were eager to support the clearing of garbage where turtles have laid their eggs and ready to hatch. The GREENE Project is embarking in an Education/Awareness Campaign for the prevention of discharge of solid waste into the New River. This project seeks to improve environmental performance through compliance, enforcement, pollution prevention, and promotion of environmental stewardship. Build Belize wishes to express our sincere gratitude to our sponsors of the business community and friends of the reef for their unwavering support for this experience our children will remember for life and for their participation in protecting Belize’s natural bounty and beauty. To Mr. Mito Paz from the San Pedro House of Culture, we wish to applaud for supporting the initiative of the River to Reef Ambassador Program and for providing valuable knowledge in landscape and seascape environments. Mr. Errol Gentle, our chef, for feeding our children with delicious and healthy food, thank you Sir. 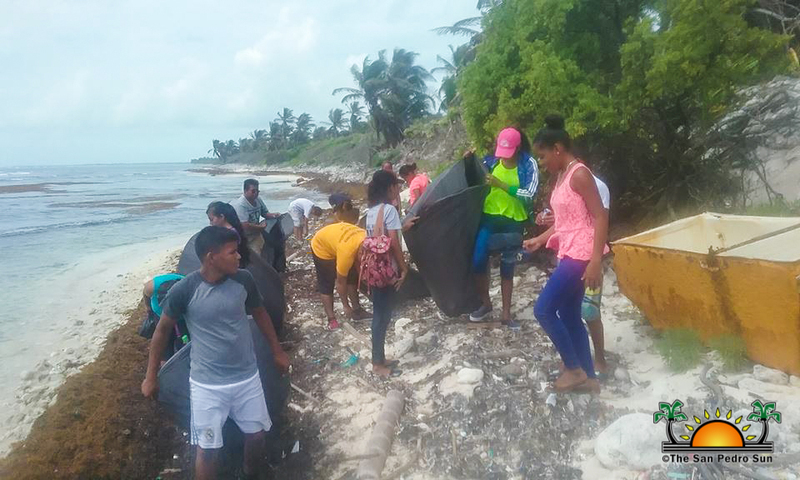 This summer camp would not have been made possible without the financial and logistical support from PACT, Green Reef, Hol Chan Marine Reserve, Blackadore Caye Group and Oceana. To you all, we express a heartfelt Thank You. Build Belize is a community based organization that supports children to live a life free from violence and drugs by creating interventions for positive behavior change. 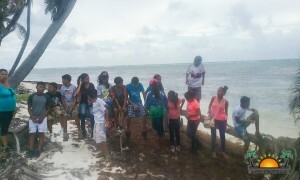 Build Belize building human capacity through education. Basil Jones Summer Camp is a go!